Countdown: Supporting Characters that Need Their Own Movie! They come into our lives quickly, yearning for a state football title that never was, yelling “put that coffee down,” or jamming to Sister Christian on an awesome mix tape. Then they’re gone..but never forgotten. Yes, please. Melissa McCarthy crafted a fully realized person with Megan, someone we kind of recognized, someone we’d like to see in almost any situation. Drop us into Carl Spackler’s life at any point at all, and just leave us there for a couple hours. That’s really all we ask. We must have more! Alec Baldwin seared right through the celluloid with his one big speech, leaving us wanting more from this ball buster. Jennifer Lawrence so fully developed this relatively minor character that we were mesmerized, and we want to see more. Maybe show us her courtship with Irving, maybe take us to her new life with mafioso Pete. Hell, just leave us at home with Rosalyn, her son and her “science oven” – that would probably be entertaining enough. Few filmmakers can pack a screenplay with more fascinating supporting characters than the Coens, and John Goodman’s had the great fortune of playing many of them. Walter? He could get a movie. Roland Turner, junky bluesman from Inside Llewyn Davis could probably shoulder a full film. But Goodman’s most mysterious and complex performance came as Barton Fink‘s unusual neighbor Charlie Meadows, and we’d like to know what made him tick. Indeed, almost every character in Paul Thomas Anderson’s brilliant Boogie Nights could hold our attention in a film of their own, but it’s Rahad Jackson, Night Ranger lover, who really piqued our interest. Certainly Hendricks, longtime backup singer and secret girlfriend to Ray Charles, led a life fascinating enough to merit a film, but it was Regina King’s performance in Ray as the saucy, troubled chanteuse that compels her inclusion on this list. King ranks among the most underappreciated and versatile talents working today, but her turn in this biopic is her best. 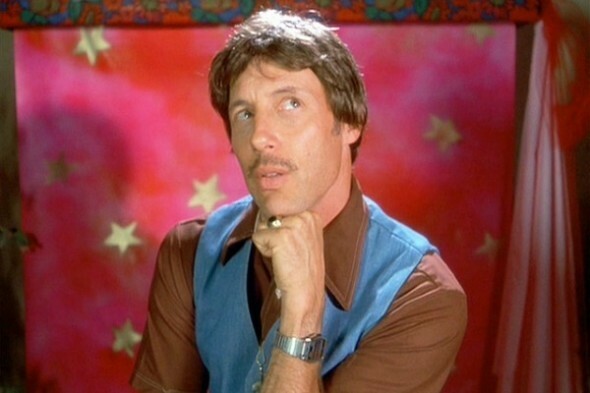 What was high school like for Uncle Rico? Why is he living currently in that RV? What will his next business venture bring? Honestly, anything Uncle Rico does would entertain us. The David Lynch universe is populated by dozens of fascinating characters, including, of course, Dennis Hopper’s Frank Booth. But Bobby Peru is the one we just didn’t get quite enough time with. The most exciting item to hit Big Tuna since the ’86 cyclone, Bobby needs a full backstory movie. Here’s a guy who lived a life, workin’ for a livin’ and sharkin‘…right up until a shark ate him. We want to see some of his other adventures. You know, the ones he survived.